Eagles unofficial team picture will be January 9th, cancellation Dec 12. Our Dec 12 practice was canceled due to a tournament delayed by Saturday's storm. We have a game next Sunday, then a practice Jan 2nd. Since some will be away that day we'll do our unofficial team picture on January 9th (4:35pm). 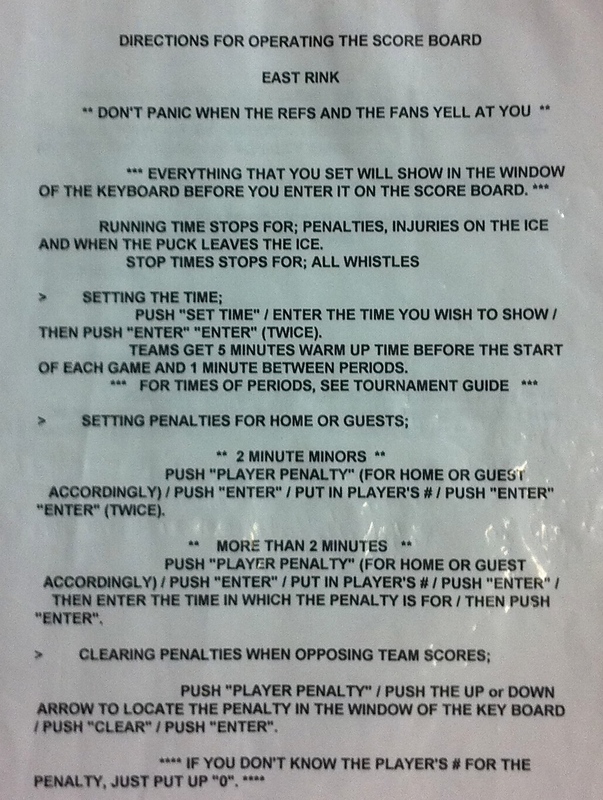 Meanwhile, Coach Joe is working to schedule a makeup practice in the field house next to the ice arena. 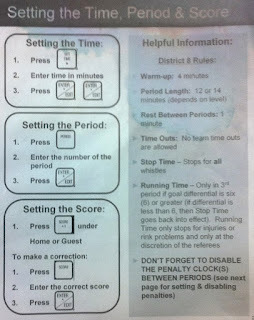 The Minnesota Special Hockey home page has a link midway down to a garment order form (PDF). Complete it and mail it to Jane Cashin per the address on the form. The hooded sweatshirt is $52. The one I have is a few years old, it was very well made. 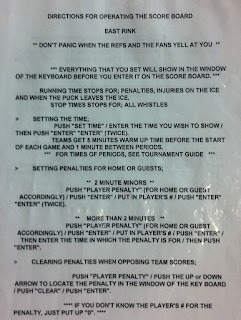 These pictures show the Bielenberg Arena scoreboard controller and the instructions for operating it. I took these hastily with my phone camera; I might get better pictures later. 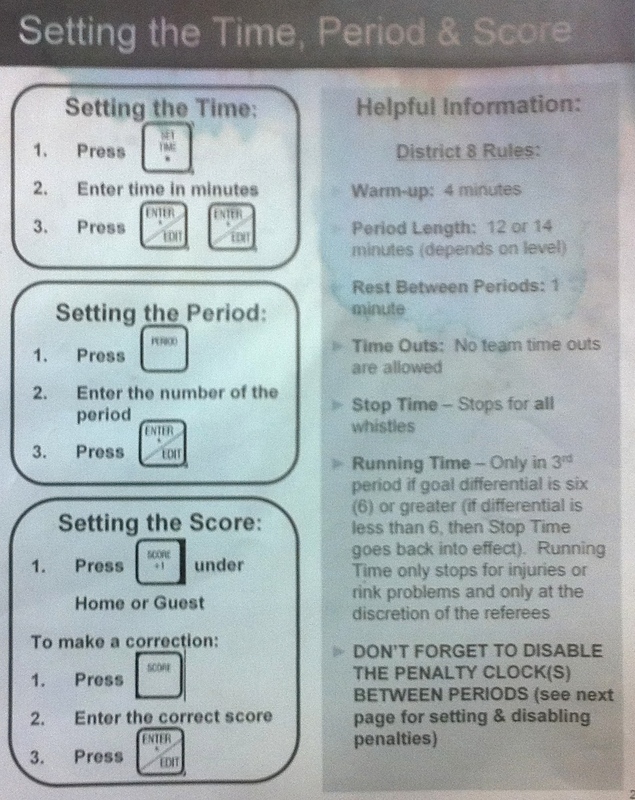 Brave volunteers who help with scoreboard control may want to print these out and review them prior to games. Click on the thumbnail for a full-size image.